It’s that time of year again when 40-plus thousand health tech geeks travel to HIMSS to network, and share and learn the latest and greatest successes and failures in the industry to date. I can’t help but reflect on how much the industry has changed since my first HIMSS. The industry has not only tangibly evolved but so have the feelings around it. I always approach HIMSS with a physician’s perspective and a clinical eye. So, the first keynote to catch my attention was actually Magic Johnson. Seeing Magic Johnson listed as keynote speaker is inspiring in itself. I remember being in high school when the news about his HIV status was announced and presumed to be a death sentence. To now see him give a keynote speech at HIMSS so many years later speaks so profoundly to the advances in healthcare and medicine. It also speaks to mega-advances on the front lines of care but the apparent lack of improvement on the backend. Such a stark difference to note that the advances in HIV treatment have lapped the advances around EMRs and population health. We are still talking about some very basic concepts in health tech going into HIMSS2018. The elephant in the room being interoperability and the lack thereof. This HIMSS I’m going to be looking for innovators that have made leaps and bounds like Magic Johnson in the patient engagement, telemedicine and artificial intelligence space. Patient engagement remains a key concept as we have moved into a consumer-centered model from the standpoint of interoperability. If we can’t rely on our vendors and providers to share information, it’s time to start relying on the patient to do so. Telemedicine remains a hot topic for me as a physician because it’s simply common sense. Virtual visits are the answers to many of our supply and demand issues in medicine and it’s high time for regulation and reimbursement to catch up. I’ll be looking for use cases and vendors that have cracked this code. And last but not least, the AI space remains both intriguing and promising. 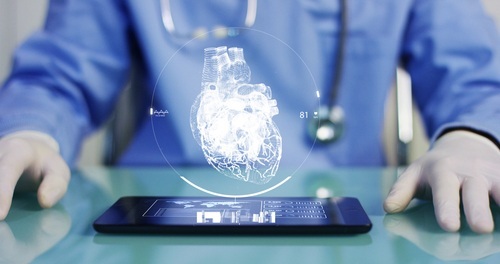 AI could really hold many answers to improved clinical decision support and timely answers at the point of care, as well as offer some very intriguing patient-facing opportunities for patient education. In addition to the above, I always look forward to seeing former and current colleagues and friends. I’m privileged to be a part of the HIMSS Social Media Ambassadors program and look forward to collaborating with this group again this year and keeping it real; keeping #HIMSSshoes and #HIMSSfashion as part of the fun. Remember, technology, like fashion should always be forward thinking but simple and useful. Hope to see you all in Vegas! 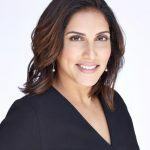 Geeta Nayyar, MD, MBA, is Chief Healthcare & Innovation Officer for Femwell Group Health, Inc., a managed service organization (MSO) providing business solutions to help physicians and physician practices across southern Florida efficiently and profitably run their practices.